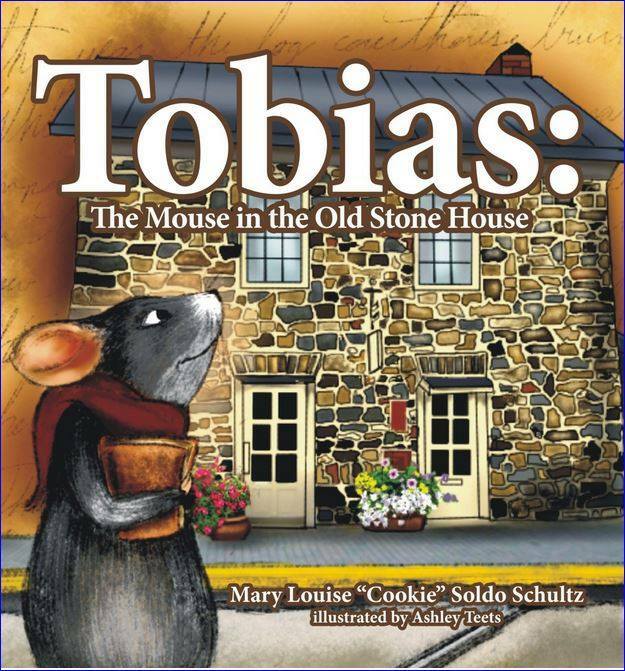 The Service League of Morgantown is pleased to announce the publication of Tobias: The Mouse in the Old Stone House by member Mary Louise “Cookie” Soldo Schultz. This creative effort was envisioned as a way to interest children in history and to inspire curiosity for their surroundings. In the book, Tobias, a wise old mouse, shares tales preserved in a journal kept by his family for over 200 years with a young boy named Sammy. Beginning with the family’s arrival in a Conestoga wagon in the 1780s to residing in a present day gift shop run by volunteers – Tobias shares the tales of his family and Morgantown. The book offers entertaining and delightful insight on Morgantown’s history as it is told from the unique vantage point of this particular mouse family living in their ancestral home – the tiny closet tucked beneath the steep corner-turning staircase of the historic Old Stone House. The book incorporates actual historical facts related to the Old Stone House, which is included on the National Register of Historic Places. 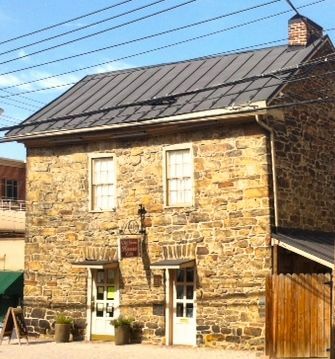 Records suggest the rustic, pioneer- era sandstone dwelling was built prior to 1795. Since 1935, the building has served as the headquarters of the Service League of Morgantown. This all-volunteer, non-profit, organization maintains a gift shop year-round on the premises. Sales proceeds are donated to educational, cultural, and charitable concerns that benefit the citizens of Monongalia County. Author Cookie Schultz has recently retired from the faculty of the Honors College at West Virginia University. She has been actively involved in education and the arts for over forty years. She is the recipient of numerous teaching awards and grants and has earned fellowships from the National Endowment for the Humanities and the West Virginia Humanities Council. Illustrator Ashley Teets brings the story charmingly to life. Tobias and his friends are reminiscent of Beatrix Potter’s soft, water-colored aesthetic realism. Additionally, Ms. Teets masterfully conveys the passage of time to young readers by overlaying her artwork on top of parchment-toned backgrounds complete with faded penmanship that echo the book’s text. Books are priced at $16.95 plus tax and are available for purchase at the Old Stone House (313 Chestnut Street) Monday through Saturday from 11 am – 3 pm. The books are also available through Amazon.com.